The Canary Islands have historically benefited from a Special Tax Regime due to their geographical circumstances. We briefly outline the most important aspect of the REF. The Canary Islands have a more favorable Value Added Tax rate of 7% (IGIC) compared to the general regime applicable in the rest of Spain, which currently has a national rate of 21%. Those companies and individuals that engage in economic activities through a permanent establishment in the Canary Islands are eligible for a bonus in the Corporate Tax or Income Tax of Individuals, of up to 90% of undistributed profit. In return, companies must invest those funds allocated to the RIC over a “general” period of five years in assets that are to be used for the development of their business activity. Non Resident entities that operate through a permanent establishment may also benefit from the RIC. This formula allows companies to capitalize through low taxation, while permanently maintaining their assets renewed and enhancing the value of their net assets. The ZEC Zone (Zona Especial Canaria) is not a “tax haven”, but instead it is an area of low taxation. The current tax rate of income tax is 4% (European average is between 25% and 30%). 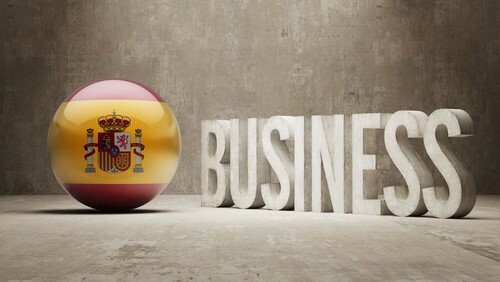 It aims to encourage the establishment of new companies in the Canary Islands to develop certain industrial activities or services. Have its registered office and place of effective management in the geographical area of the ZEC. At least one of its directors must reside in the Canaries. Make a minimum investment within the first two years since its release 100,000 euros (on the islands of Tenerife and Gran Canaria) or 50,000 euros (in the rest of the islands). Create a minimum of 5 jobs (on the islands of Tenerife and Gran Canaria) or 3 jobs (in the rest of the islands). They are exempt from withholding dividends distributed by ZEC subsidiaries to their parent companies in another country of the European Union and other countries with which Spain has signed an agreement to avoid double taxation. Exemption from Transfer Tax and Stamp Duty. Exemption from IGIC (IGIC) for the supply of goods and services between ZEC entities and imports.